Through the examination of large-scale laboratory kickback schemes, this session will discuss the Federal Anti-Kickback Statute, methods of investigation using public records and health plan data, and potential case outcomes. The case study involves an investigation of several national laboratories who had allegedly engaged in schemes to increase patient referrals by offering payments to physicians and practitioners on a per-specimen basis for lab tests that may not have been medically necessary. The investigation found evidence that more than 2,000 physicians and practitioners across the country received these alleged improper payments. The investigation also identified other issues in medical records, exposing system-wide risks and leading to potential recoveries. 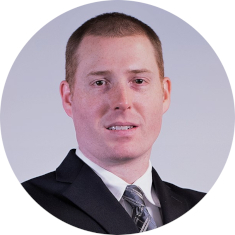 Daniel McManus is a senior investigator for Premera Blue Cross. McManus has ten years of experience working in investigative and oversight positions in Medicaid, Medicare and commercial health plans. He has led investigations into fraudulent billing, illegal kickbacks, physical abuse, improper prescribing and computer crimes. His cases have resulted in criminal investigations, multiple convictions and regulatory sanctions. McManus is a Certified Fraud Examiner and Certified Professional Coder. He holds bachelor’s degrees in psychology and criminology from the University of Florida and a master’s degree in economic crime management from Utica College.